OMG y'all, what a brilliant, beautiful movie! 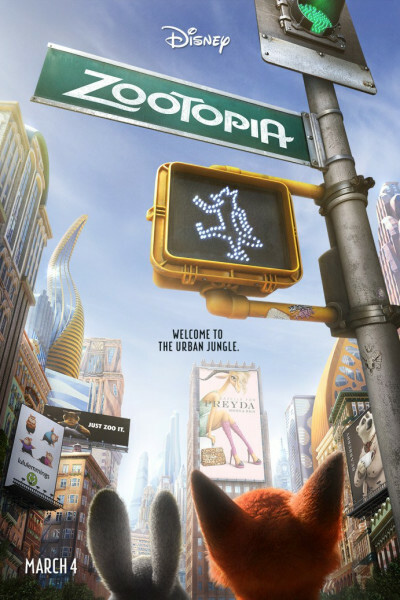 Adorably clever anthropomorphic animals, sumptuous CGI, a dynamite storyline, great music, and lots of fun in-jokes for the adults. Our theater was packed to the rafters, and everyone—kids and parents alike—hooted and hollered. Where else can you get winking references to Walter & Jesse and The Godfather, anthemic music by booty-shakin' Shakira, a strong message that's as timeless as humankind and the animal kingdom yet as current as the Presidential election...wrapped effortlessly in an anti-ism tale animated by a well-conceived whodunit mystery? Hoof it on over. You'll be glad you did, and leave with a smile on your face and a spring in your step.